Stephen Hunt TubeMogul’s Asia-Pacific Director talks candidly about the challenges the online video industry currently faces: demand outstripping supply; publishers holding on to unsold inventory to protect its value; and lack of transparency in video advertising and the industry’s absence of regulation e.g ‘fake pre-rolls’. But Hunt argues that the opportunity in online video advertising is huge, and is poised to attract huge amounts of brand budget in the coming years. If the latest PwC figures are accurate, 2014 will be the year online advertising will surpass TV to become the biggest segment of the media pie in Australia. A major driver of future growth is forecasted to be brand dollars flowing away from traditional TV into online video and connected TV. With great power comes great responsibility, however, and the industry needs to create a quality ecosystem worthy of TV’s mantle. We have the opportunity to be good, but we should strive to be great! As with most things in marketing, it all starts with the consumer. Changes in consumer viewing habits are visible, predictable and inevitable. But as viewers shift to streaming, is quality content readily accessible? The landscape is improving as publishers put more top content (i.e. full-length TV episodes) online, but demand still far outstrips supply and it is common knowledge that video advertising inventory from top media companies is selling out. Why is this? Many premium video publishers hold on to unsold inventory – or never put the content online in the first place – in order to protect its value and prevent commoditisation by ad networks. Exacerbating the problem is the lack of transparency in video advertising, commonly referred to as ‘smoke and mirrors’ by agencies and often leaving brands unaware of things as simple as which sites their ads ran on. Due to scarcity, some players in the industry even resort to dubious tactics to achieve reach, such as syndicating players to less-premium sites or embedding tiny video players (300×250 display-sized videos) that auto-play their content and in turn the advertising preceding it. This is loosely known in the industry as “fake pre-roll” and seems designed to create artificial supply. Real-time bidding offers new opportunities to both advertisers and publishers, letting the free market determine the value of every impression. To advertisers, the benefits to real-time buying are obvious: site-level transparency to see where ads are running, the ability to buy specific audiences, optimisation and much more. To publishers, the promise of private exchanges means they can offer advertisers the benefits of real-time media buying in a marketplace where they control sophisticated rules such as which agencies have access, bundled pricing packages, available inventory, what data can be used for targeting and much more. Publishers can even set minimum prices that are higher than television CPMs and let the market bid up from there. Australia is seeing a rapid adoption of demand side platform (DSP) technologies, with pioneering agencies taking back the responsibility of planning and delivering against websites from 3rd party vendors. TubeMogul is facilitating this shift at the agency side by connecting brands to all sources of video inventory in a transparent and brand-safe manner. By setting up direct feeds with premium publishers (e.g. 9MSN, Yahoo7) and private exchanges with quality ad networks (e.g. VOLT), agency teams can control their video ecosystem and choose the websites they want their ads to appear on. Marketplace changes are not enough, however, and the industry regulators can do more to help. The IAB did the industry a service with video standards such as VAST and VPAID but there is more that can be done. The existing regulatory structures (e.g. IASH) still lack an official position on ‘fake pre-roll’, for instance. A stricter definition around what pre-roll actually is with regulation around transparency will better hold vendors to account. Ultimately, we are growing fast as an industry and are doing some amazing work. Let’s build an ecosystem that deserves TV’s mantle and show the whole media landscape just how safe, simple and effective online video can be. 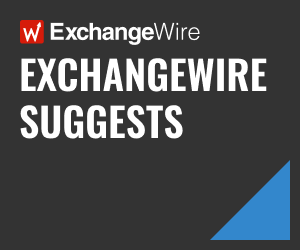 Stephen Hunt will be speaking at the ExchangeWire Ad Trading Summit (ATS) event in Sydney on March 13.